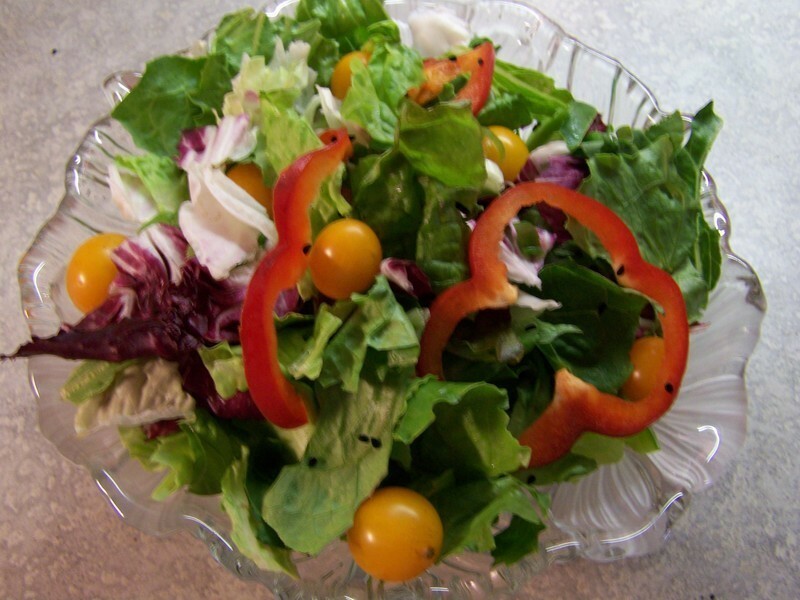 In a large bowl, combine the romaine, escarole, radicchio, red-leaf, scallions, red pepper, green pepper and cherry tomatoes. Whisk together the grapeseed oil, basil, vinegar, lemon juice and salt and pepper. Pour over salad, toss and serve immediately. No comments for: "Italian Leafy Green Salad Recipe"